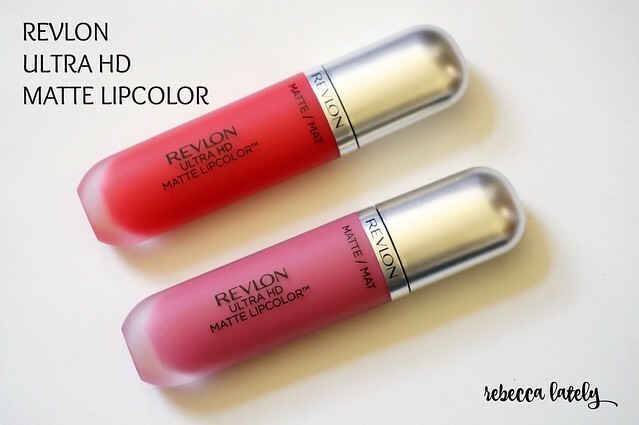 I recently tried some new lip products from Revlon, and I’m excited to share my thoughts on them with you! I’m a huge fan of Revlon lip products. I found these at Target. Unfortunately, I haven’t been able to find them online anywhere. These are from Revlon’s HD line. 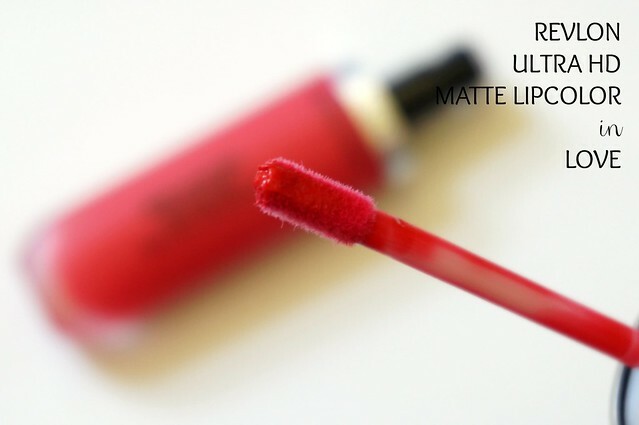 They are called Ultra HD Matte Lipcolor. The formula is like a liquid lipstick. The lipcolor is very, very pigmented. You don’t need a lot of product to cover your lips. The color is, obviously, matte. It’s a gorgeous matte. The formula is creamy and smooth, so it really enhances your lips (instead of making them look dry, which happens with some matte formulas). I have two colors, Love and Devotion. 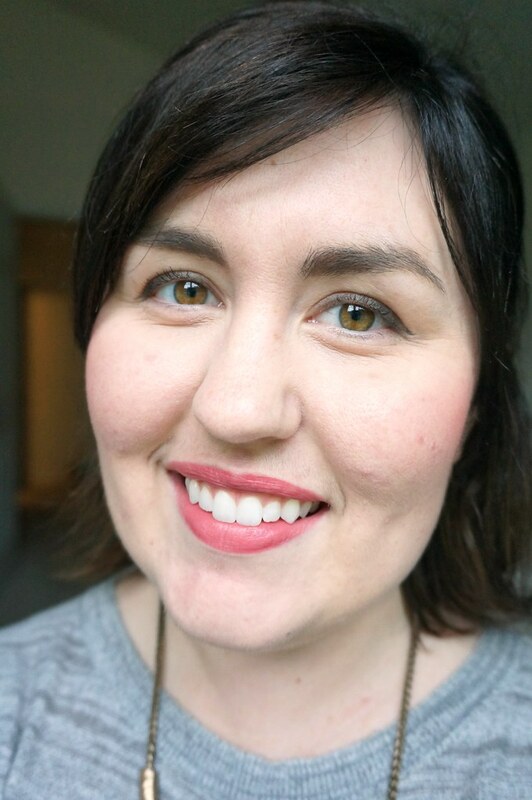 I have been wearing both shades quite a bit, but the Devotion color is more of an everyday lip color. The wear time is pretty good for these, considering they are a liquid product. It leaves minimal color behind on my coffee cup, but I did reapply mid morning. The one bonus I noticed is that the color wears off my lips evenly. Some lip products settle at the edges of my lips or in the creases of my lips; however, these don’t do that. 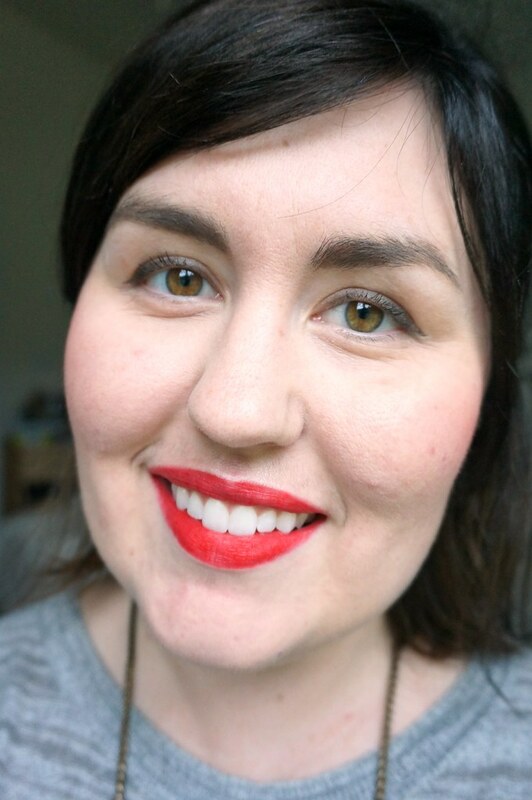 Realistically, I know that a lip color is not going to last all day. So, the fact that this wears off evenly is a huge plus for me. When I found these at Target, there were a few colors left on the display. I looked them up on Revlon’s site, and there are a total of 8 colors in the line. They are all gorgeous and look like they’d be great everyday colors. Overall, I love these lip colors. I highly recommend them if you like matte lip colors that look velvety. They’re also awesome if you like the look of lipstick but don’t like the feel of lipstick. Lipstick can feel thick on the lips sometimes. 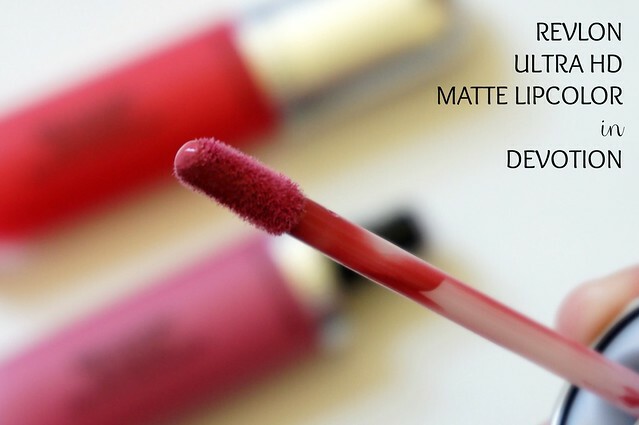 These Ultra HD Lipcolors are extremely lightweight.